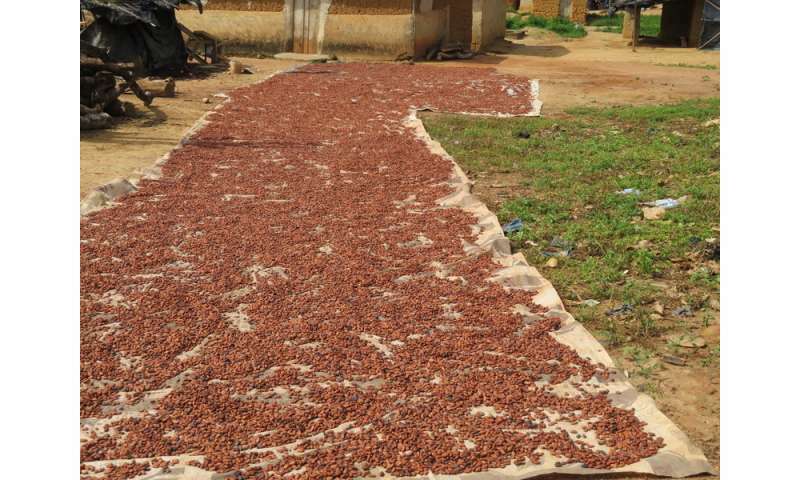 About 70 percent of the world's production of cocoa—chocolate's main ingredient—comes from just six small countries of West Africa, where a blight disease that kills cacao trees is spreading rapidly, causing decline and death in some trees in less than one year after infection occurs. In its wake, the livelihood of farmers is at stake and rainforest is lost as growers expand their plantations to compensate for losses. "There is almost no knowledge about who and where the enemy is—let alone what actions are needed to ensure the longevity of the crop in the region for the short and long terms," says Judy Brown, a plant virologist at the University of Arizona's College of Agriculture and Life Sciences who is working with African scientists and farmers to create greater awareness and develop ways to combat this disease. 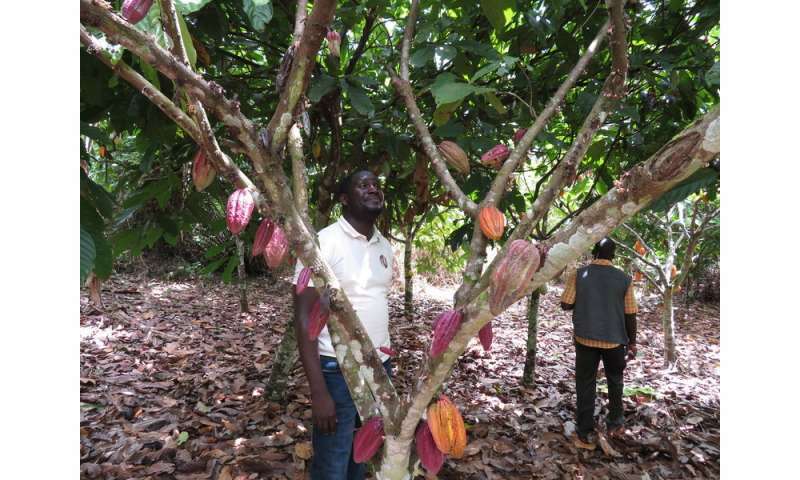 Little is known about the pathogen—especially its diversity—other than it being a virus that infects cacao plants and is transmitted by mealybugs, small insects that feed on the tree sap. 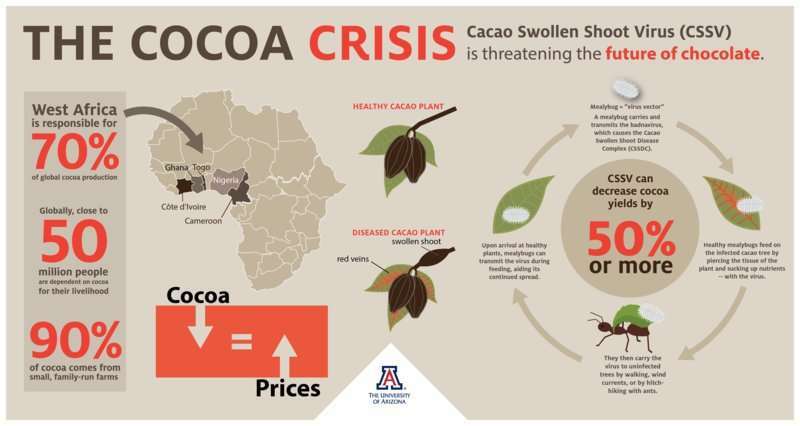 Unlike most other major crops, which have been backed by a history of research to make them more productive, better adapted to environmental stresses and more resistant to disease, cacao essentially is still a wild plant largely neglected by research and improvement programs, including badly needed epidemiological studies to guide management, Brown says. 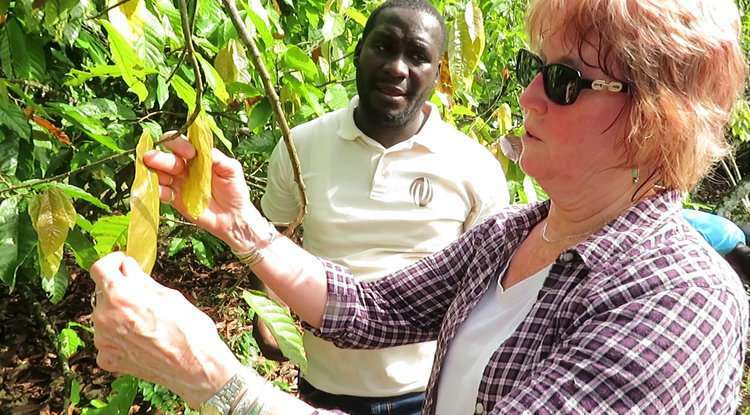 Through a collaboration with researchers from Côte d'Ivoire, Ghana and Nigeria, Brown's group obtained leaves from cacao plants showing swollen stems and different patterns of leaf and vein discolorations, the telltale signs of being affected by swollen shoot disease viruses. After just one round of deep sequencing, the researchers found that the virus that gave the disease its name—cacao swollen shoot disease—was in fact six or more different species, and they expect to discover more. 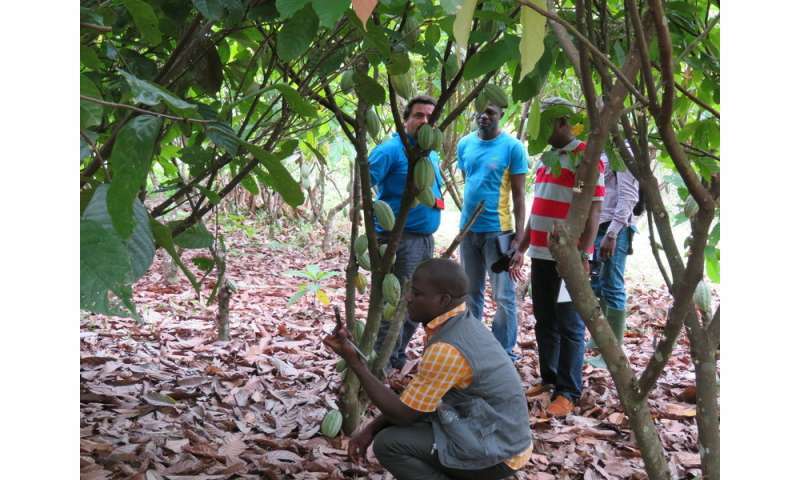 Brown works closely with scientists from West African cacao-producing countries—Cameroon, Ghana, Ivory Coast, Liberia, Nigeria and Togo—and hopes they can be involved in a much greater way in tracking the virus in wild forest trees that are thought to serve as reservoirs, managing the insect vectors as well as gaining access to short- and long-term training and scientific equipment.